Srinagar, February 16 (KMS): In occupied Kashmir, the Chairman of Hurriyat forum, Mirwaiz Umar Farooq strongly condemned the puppet authorities for imposing curbs to disallow congregational prayers at Jamia Masjid in Srinagar time and again, saying that the Kashmir dispute will not disappear by preventing people from gathering to offer obligatory prayers. Mirwaiz Umar Farooq in his address at Jamia Masjid in Srinagar condemned those in power for repeatedly barring Muslims from offering obligatory Friday prayers at Jamia Masjid and other mosques across the Valley by imposing curfew and restrictions. He said that the Friday prayers were held today after three weeks at Jamia Masjid. “The Muslim collaborators under the influence of their masters need to be reminded that in Islam mosque is a place of collective worship. It is a community centre for the Muslims where besides other things the community comes together at prayer times and otherwise, to discuss and deliberate the issues facing it and the Juma Khutba delivered reflects those issues and problems of the community and their redressal in the light of Quran, Sunnah and ethics,” he said. The Mirwaiz said that for the last thirty years in particular, the gravest crisis being faced by the people of Kashmir was severe repression and suspension and abuse of all their rights, including human, religious and political as a consequence of occupation and the unresolved Kashmir dispute for the past 70 years. He said that the Muslim community was forcibly prevented from gathering to offer obligatory prayers at mosques, especially the central mosque on Fridays. “Let those who mislead by such propaganda understand that the Kashmir problem will not disappear by barring prayers at mosques and blocking all avenues of public expression of protest and outrage against repression, including in the mosques,” he said. 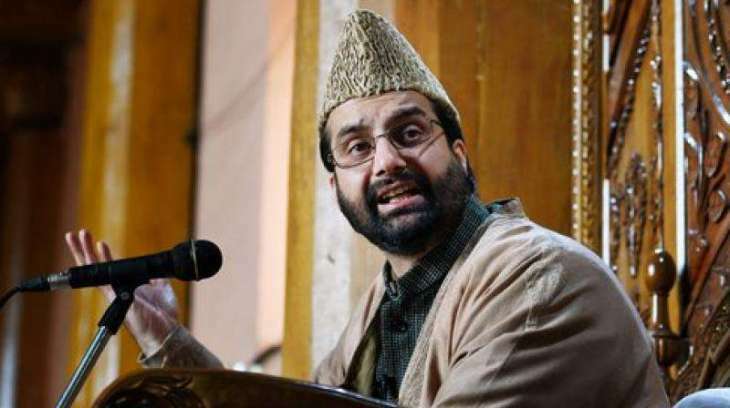 The Mirwaiz said unless the genuine demand of resolution of Kashmir dispute is addressed, voice will always be raised for its resolution from the pulpit of mosques including the Jamia Masjid.